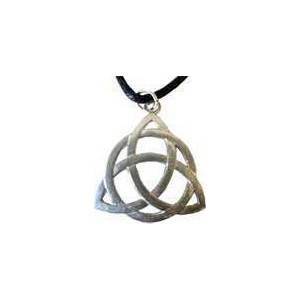 A silver tone pewter triquetra amulet formed of Celtic knots. Has cord, 2" x 1 1/2". .